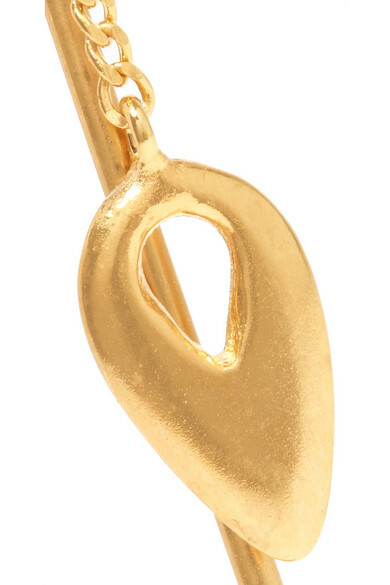 Chan Luu's dainty earrings will accent so many outfits beautifully. 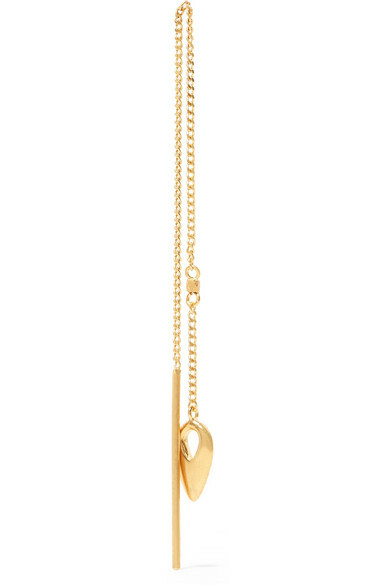 This pair is made from gold-plated silver and strung with tiny teardrop pendants that dangle from delicate chains. Wear them with loose, tousled hair. Shown here with: Nanushka Dress.